Lifestyle is paramount to residents north of Sydney. 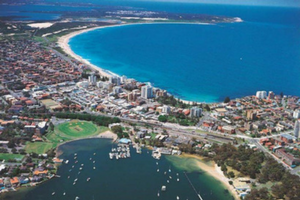 Yet Northern Beaches suburbs rank poorly in Sydney’s liveability rankings. The main reason? Main roads congestion. But Northern Beaches Council is dedicated to improvement. "Getting around the Northern Beaches efficiently needs urgent attention if we are to become the 30 minute city which the State and Federal governments want us to strive for." The Right Hon. Michael Regan Lord Mayor of Northern Beaches Council. Driving into the Manly city centre looking for a car park used to be gamble. When car parks were congested drivers would lap the city centre seeking alternatives. 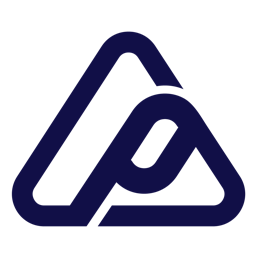 That has changed with Park Agility's precinct signage solution; highly visible signs at the key decision points on main routes displaying real-time bay availability across all Council parking stations. Turning right or left is now an easy decision and one that guarantees parking and significantly less congestion. Driven by SenseIQ our locally assembled signs are a step above the rest. The message display has unlimited LEDs and is therefore is infinitely configurable. Unlimited readout options include sophisticated graphics and messages relevant to peak periods and events. 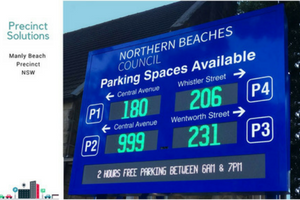 For example, Early Bird parking information is displayed in the morning at Manly parking stations, automatically switching to another message after 9am. SenseIQ's online reports display real-time images of every sign. Real image. No delay. Northern Beaches Council can easily change messages and our Australian support team is knowledgeable and responsive to their change requests. Precinct level Parking Guidance = enhanced liveability in Australia's most popular places to live and play.